Brewer Description: (from bottle) Phosphene was fermented in oak barrels using one of our captured native wild cultures. It was then transferred into oak puncheons and aged on apricots for a number of months. Refermented in the bottle with brettanomyces. 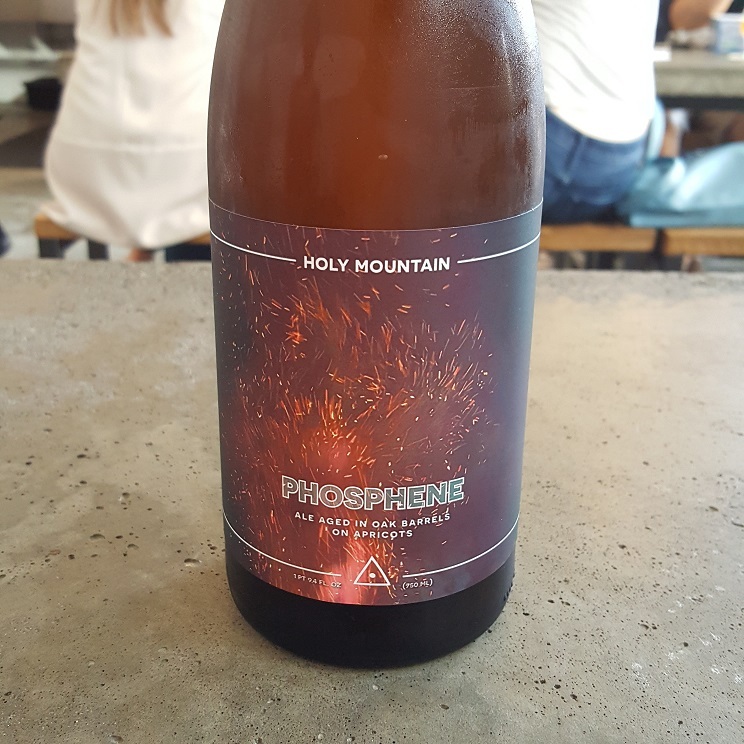 Intro: A 750ml bottle at Holy Mountain Brewing, Batch 2, 2017 vintage. Poured into a mini snifter. Appearance: A cloudy golden orange colour with a thin white head that dissipates quickly and leaves sparse to no lacing. Aroma: Apricot, peach, canned peach juice and light tartness. Taste: Tart, sour peach and apricot, with hints of oak. Overall: A nice and refreshing tart sour ale with nice peach and apricot fruitiness. 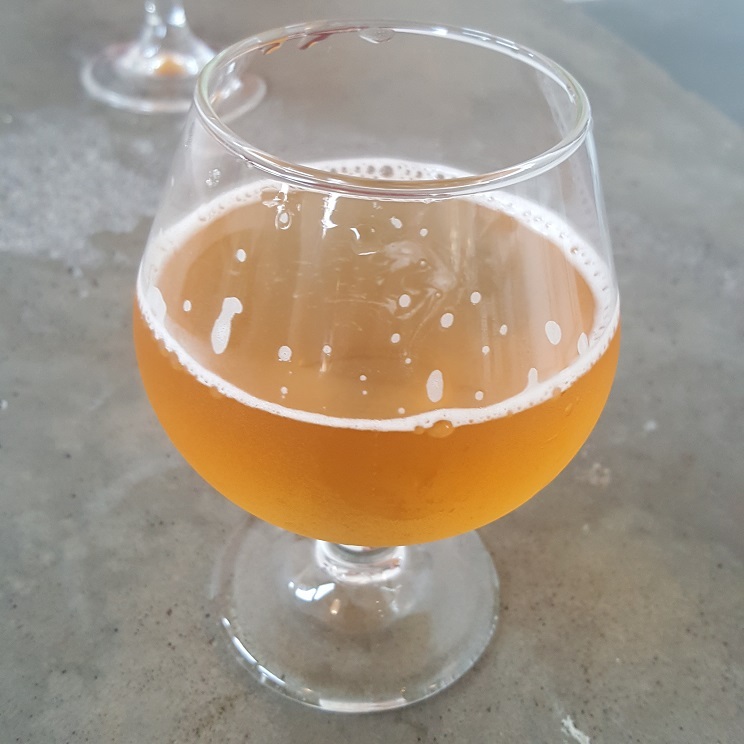 Brewer Description: (from menu) Corpse Reviver was fermented entirely in oak and then transferred into 3rd use bourbon barrels on top of a large amount of meyer lemon zest and juice, where it aged for 3 months, keg conditioned with brett. 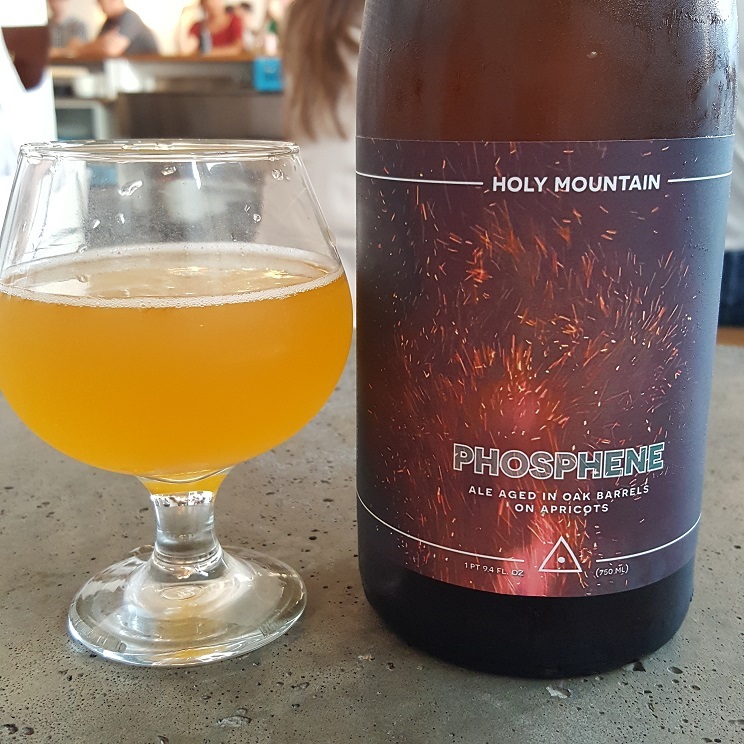 Intro: On tap at Holy Mountain Brewing, Seattle. A 9oz pour into a mini snifter. Appearance: A clear golden colour with a half finger white head, while leaving some lacing. Aroma: Meyer lemon zest and citrus juice with subtle hints of bourbon, almost like a refreshing long island ice tea. Taste: Lightly sour, lemon zest and juice. Overall: Very nice and refreshing. Would love a bottle to age a year or two.